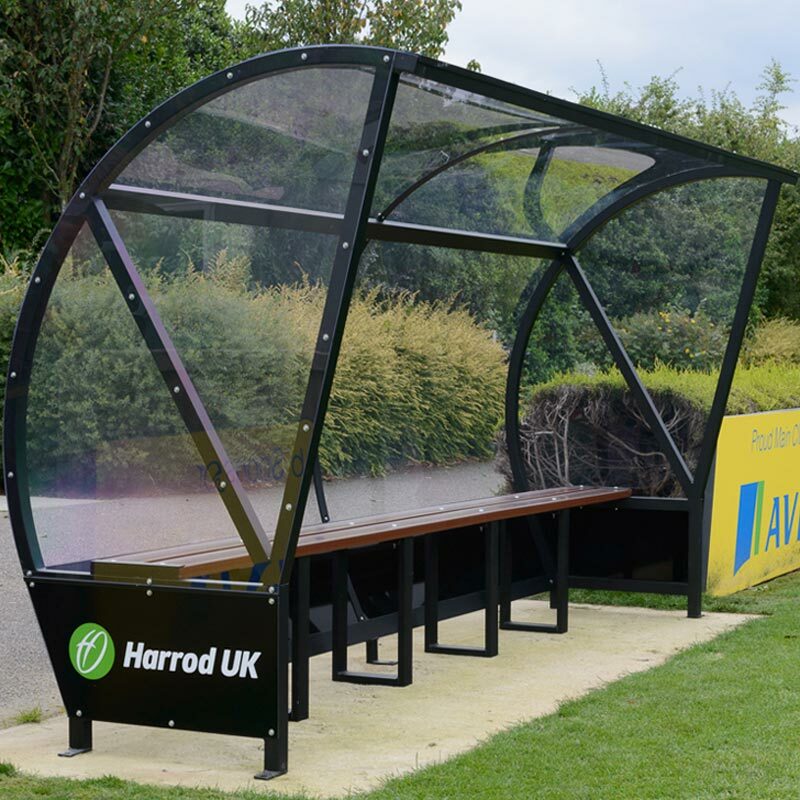 Brand new aluminium Harrod Sport ® Panoramic Team Shelter is spacious and affordable, with curved side frames designed to improve players' views of the pitch. 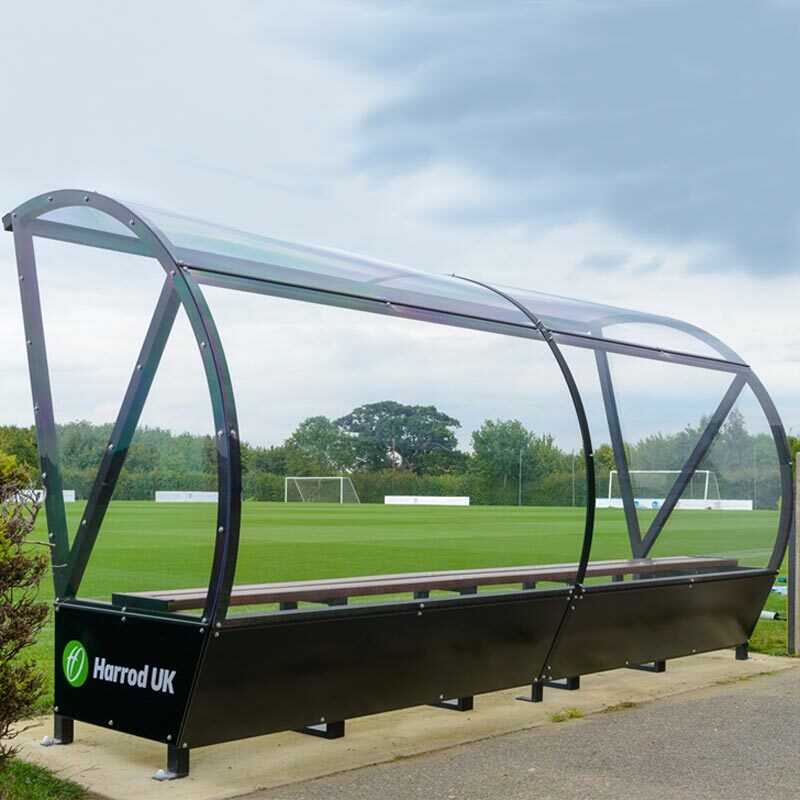 Ideal for use by clubs and schools. 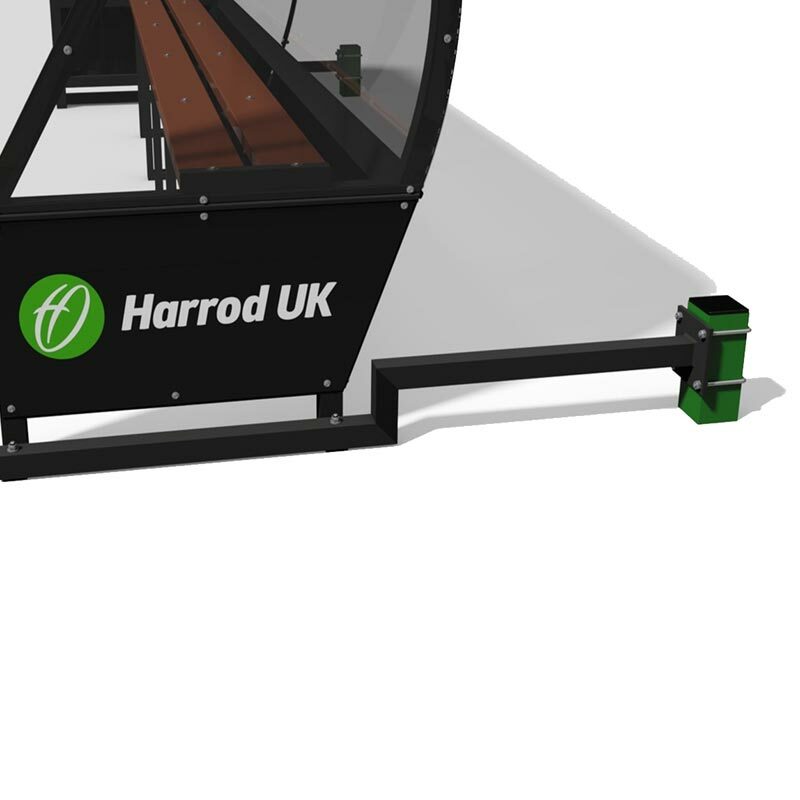 1 x Pair of Harrod Sport Panoramic Team Shelter Anchors (Harrod Sport code ANC-016). 2 x Premier Team Shelter Anchor Arms. 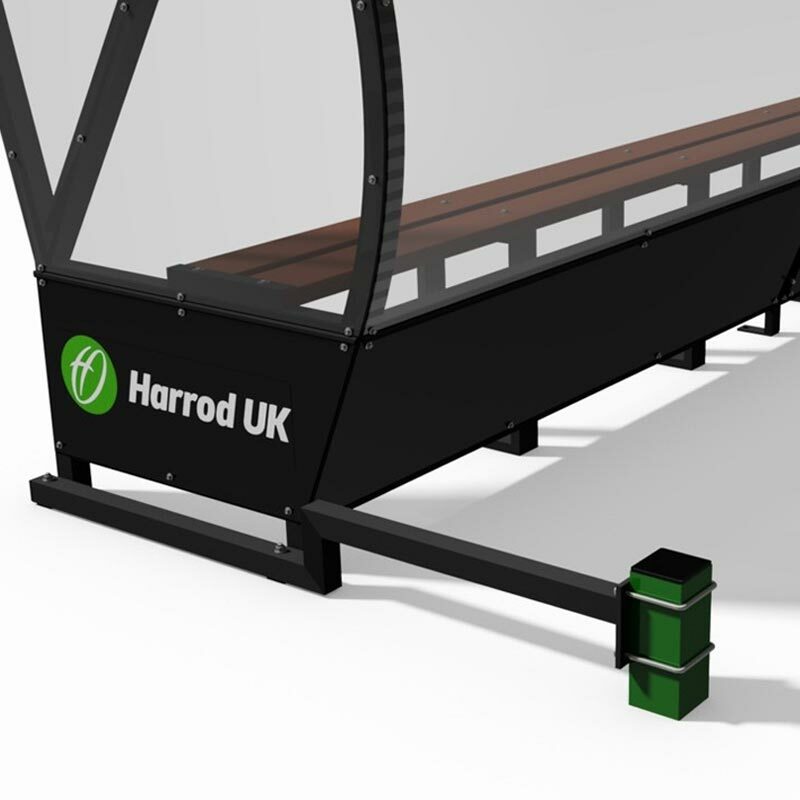 Manufactured from 50.8mm Aluminium Box Section powder coated matt black. 2.0m high allowing full standing access. 3mm Clear Polycarbonate top sheet and side sheets. Black Aluminium Composite panel surrounding the lower section. 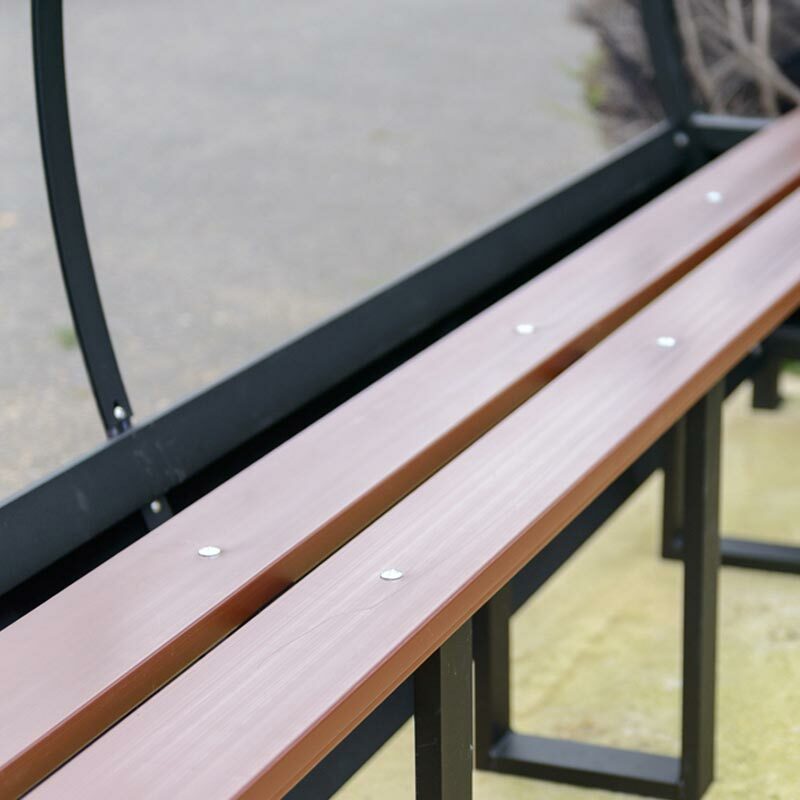 Extruded High-density polyethylene (HDPE) Seats. Floor fixed and must be anchored at all times. Anchors are manufactured with an Electroplated steel box section in powder coated matte black. Anchors are complete with two 460mm deep sockets, 100mm sq Support Posts. To seat 4 persons - 2m wide x 1.43m deep x 2m high. To seat 8 persons - 4m wide x 1.43m deep x 2m high. To seat 12 persons - 6m wide x 1.43m deep x 2m high.